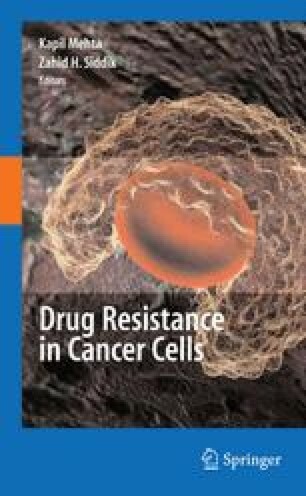 Drug resistance is a major obstacle that limits the effectiveness of cancer therapy. Many cancer cells acquire resistance mechanisms that allow them to survive apoptosis, contributing to the initiation and progression of cancers. Therefore, novel therapeutic strategies are needed to address the emerging problem of drug resistance. Recent studies have suggested that the induction of autophagy could be a useful therapeutic approach to overcome drug resistance of cancers to some therapeutic agents, particularly those which typically induce an apoptotic response. However, the functional relationship between apoptosis and autophagy is extremely complex, and the molecular machinery is still obscure. Therefore, understanding the regulation of apoptotic and autophagic signaling pathways could provide important information for the development of novel cancer therapies in drug resistance.